As a premise, rebooting Hellboy because the previous version of the franchise didn’t make a ton of money seems ill-advised. It’s a fairly unknown property, even with the two Guillermo del Toro films gaining some fans, and it’s unlikely you’ll find the same visual creativity that he provided. Turns out the actual result is even worse than you could imagine, and an absolute slog to experience. Hellboy (David Harbour), the legendary half-demon superhero is called to the English countryside to battle a trio of rampaging giants. There he discovers The Blood Queen, Nimue (Milla Jovovich), a resurrected ancient sorceress thirsting to avenge a past betrayal. Suddenly caught in a clash between the supernatural and the human, Hellboy is now hell-bent on stopping Nimue without triggering the end of the world. 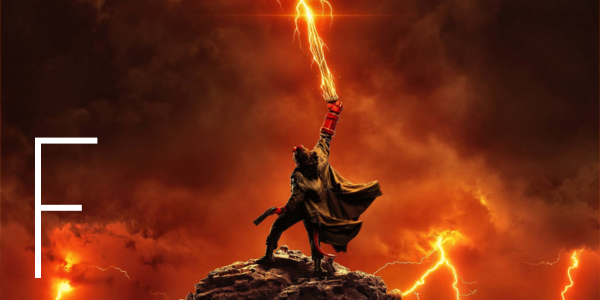 Devoid of any new and interesting things for Hellboy to do that wasn’t already done previously, Hellboy as a film feels about as dull as you can possibly get when featuring a large, red, demon as your protagonist. He fights other monsters, shooting or punching his way out of each situation, and cracks jokes. Hell, some of the visuals of the film, taking a steep dip in quality mind you, pull from the first two films completely, including a retelling of the origin with what honestly looks like the same exact costume used in origin before. Hellboy is a wasteland of terrible ideas, and not in a fun way. The technical side of things is, to put it lightly, nightmarish. Hellboy plays as if a thirteen-year-old discovered how to create large scale CGI work and tried to make it as bloody and grotesque as possible so they could appear edgy to their friends. It reeks of studio interference with choppy editing and clear cuts made that make the story remarkably dull. It doesn’t help that one can see the imaginative work of Guillermo del Toro’s original films compared to the gray, bleak and boring designs used here. How anyone believed this was the right way to go with the property is a mystery. Perhaps the only semblance of a positive remark can be given to David Harbour. Though he had very large shoes to fill in following up the Ron Perlman version, he does okay with the severe lack of material he is given. If the writing were better from top to bottom, it’s feasible that Harbour could’ve really nailed the character, but as it stands, it’s a stretch to even praise him ever so slightly. Hellboy is an utter waste of time and money, for the filmmakers and audience alike. 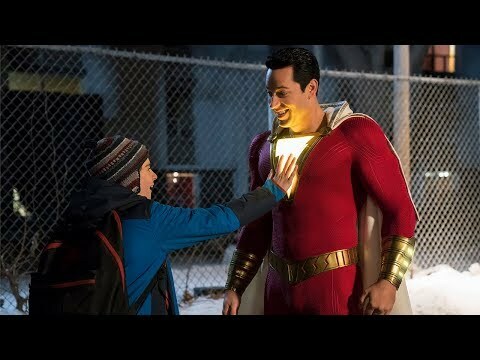 News about a troubled production are starting to creep out over the course of the past few days, but it’s still hard to imagine a smooth production offering up anything better than this dumpster fire of a film. There are multiple moments that are laughably bad, including a few in the first ten minutes alone, and in that way, it’s sure to draw some people in. Otherwise, avoid this film like the plague it is.